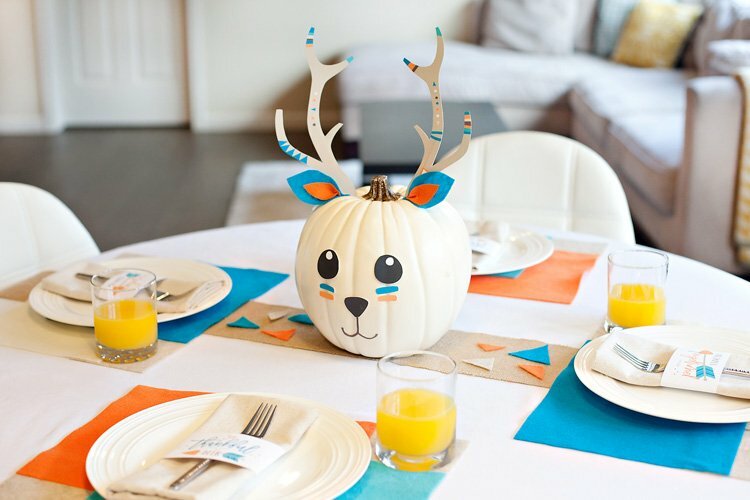 In continuing our “fall-wedding-inspired Thanksgiving” series, this next post features clever fall favor & treat ideas from a beautiful, rustic-chic autumn reception. Candied apples look extra sweet when displayed on a tray of lined with crushed nuts and decorated with rose-hip berries and chrysanthemums. 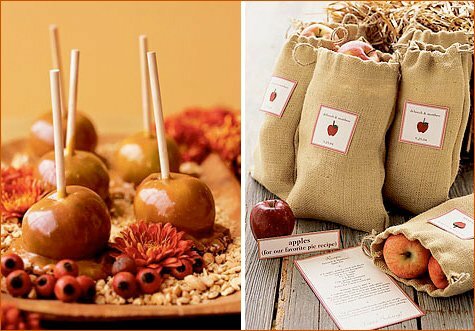 Fill small burlap sacks with apples and your favorite apple pie recipe. Decorate the front of the sack with a fun label. 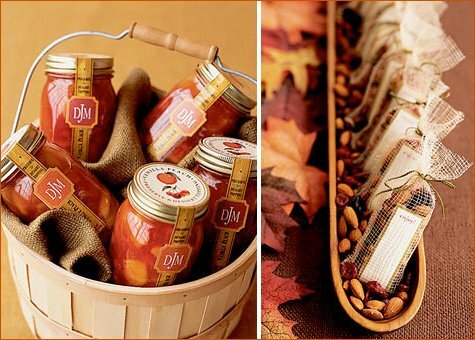 Decorate preserve-filled mason jars with stylish fall or Thanksgiving-themed ribbon & labels. Fill mini favor bags with specialty trail mix (like cranberry nut by Archer Farms). Display the favors in a tray lined with the same mix! Chances are good that you’re probably not going to whip up a wedding cake for Thanksgiving this year, but I couldn’t resist including this image because it’s just oh-so-beautiful and chocolate-y! Couldn’t resist including this next one either… and here’s a Homemade Caramel Apple recipe if you’re feeling especially inspired! 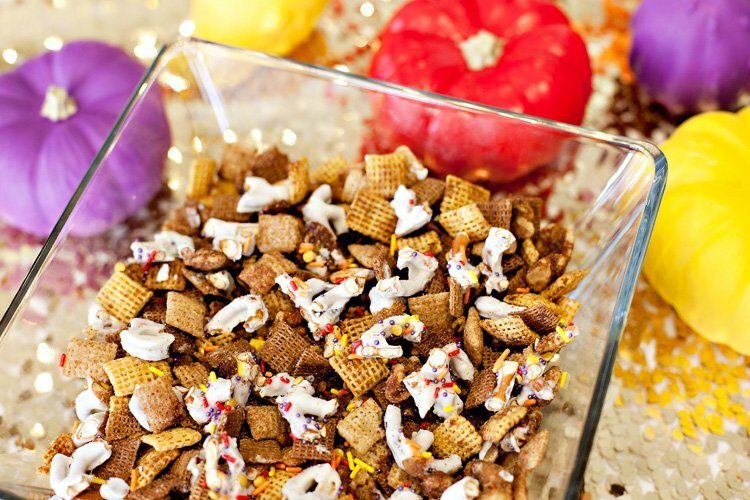 The trail mix idea is actually really cute! 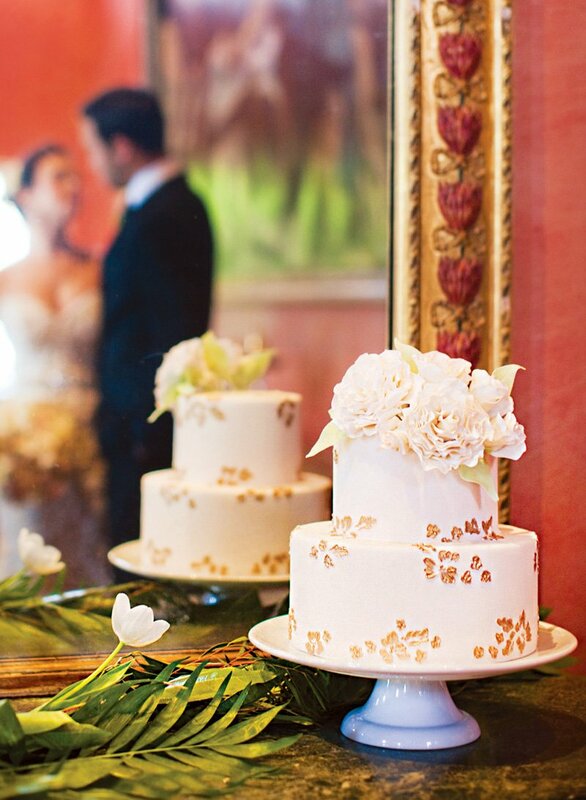 Love the wedding cake image too – gorgeous! I’m not sure how this works, but somehow or other you should check out the Cake and a Prayer website. 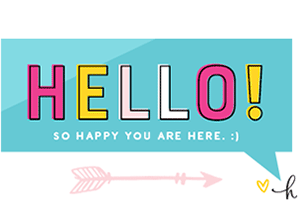 They are an on-line specialty provider of beautiful gift packages that include a personal prayer message on a 4×6 linen card, a 6-inch succulent lemon pound cake and an elegantly framed scripture or words of inspiration. It made me a hit earlier this year at a family gathering. I believe it is the perfect to bring or send the Holiday Season. The caramel apples on the crushed nut tray is a fabulous idea! The diabetic in me is drooling over those caramel apples! Tasty treats! Those caramel apples look especially amazing! 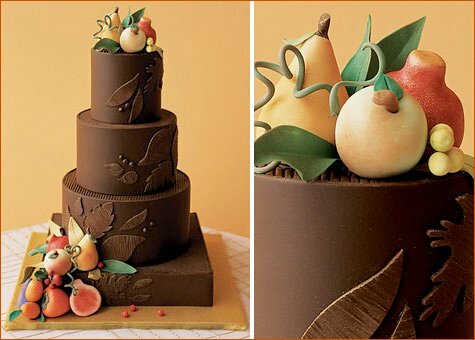 The Thanksgiving wedding cake is gorgeous. 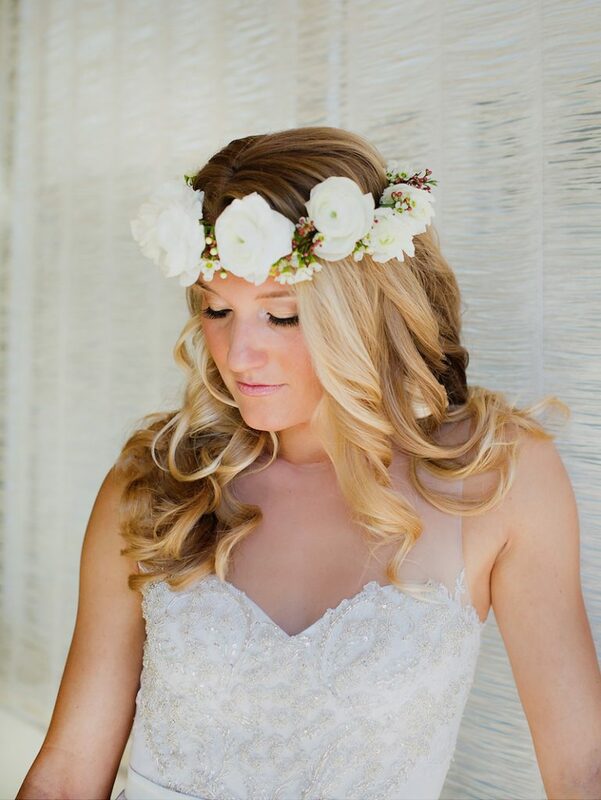 It’s simple and very elegant! This cake really caught my eyes! I absolutely love this idea. All of these images are so inspiring! I adore that cake; it’s so fabulous! Beautiful images! I love the caramel apple idea! I am thinking about using that at my wedding reception! Any good suggestions on where to find a tray like this one to display the apples? 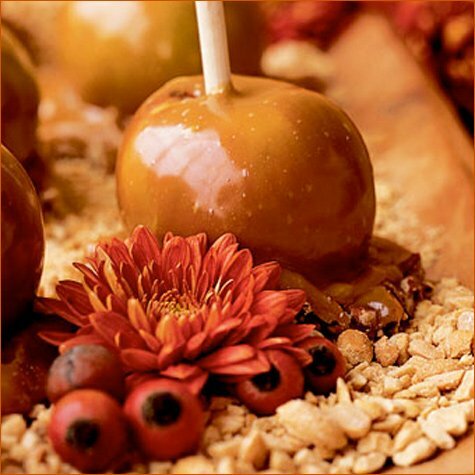 I love the mini carmel apples, a perfect treat for my family this year! !